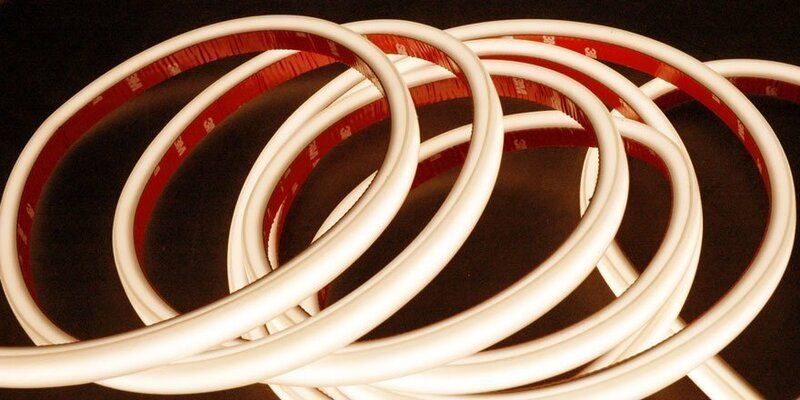 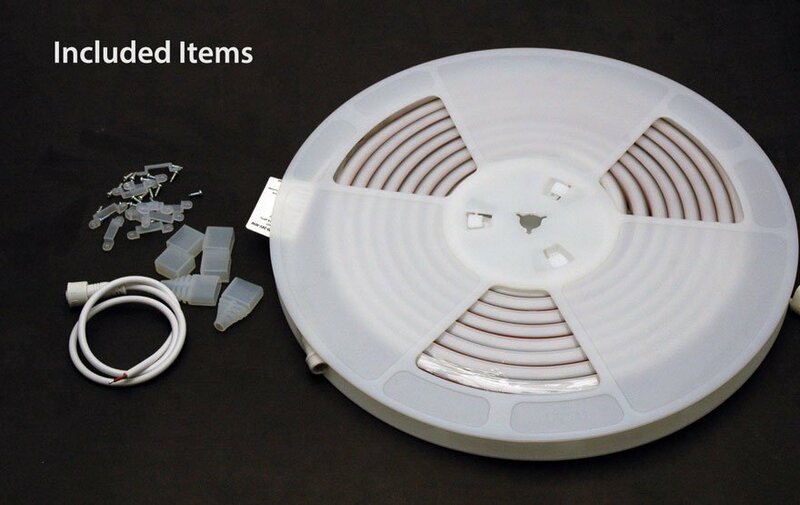 No Spotting Architectural LED Flex Strip packs 78 2016 SMD LEDs per foot. 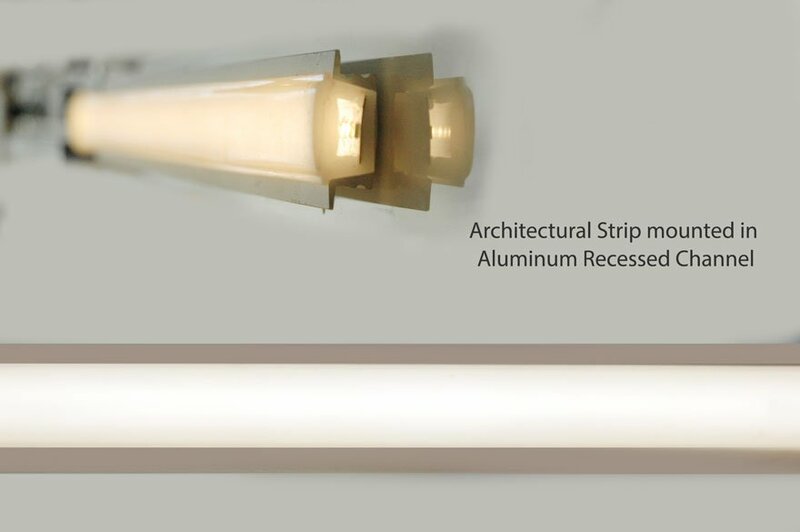 Covered with opaque silicon cover, allows a very even and bright light. 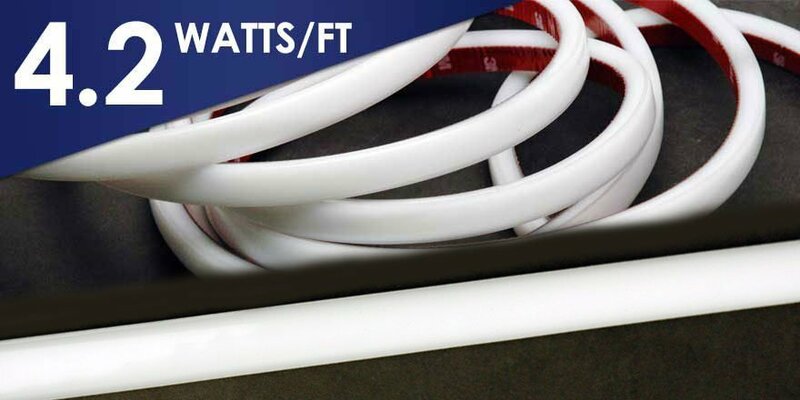 The Quattro Bright series 24VDC LED strip features a high lumen output of up to 90 lumens per watt. 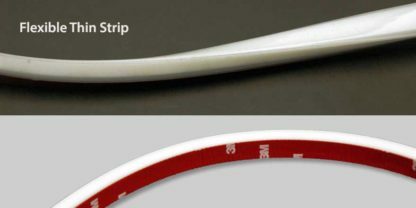 The dimmable LED Strip is available in Warm White (3000K) and Neutral white (4100K) with a colouring rendering index (CRI) of 90 or better! 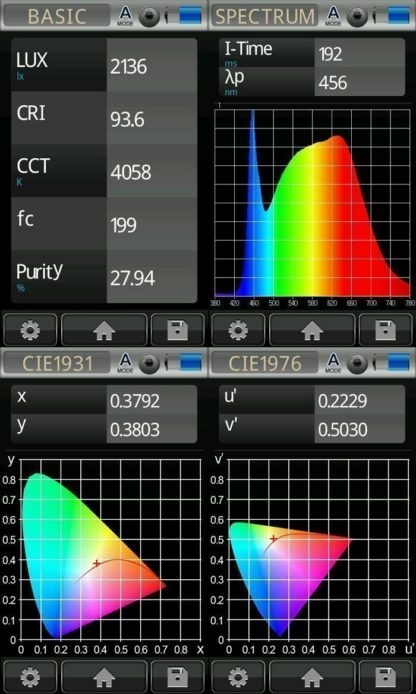 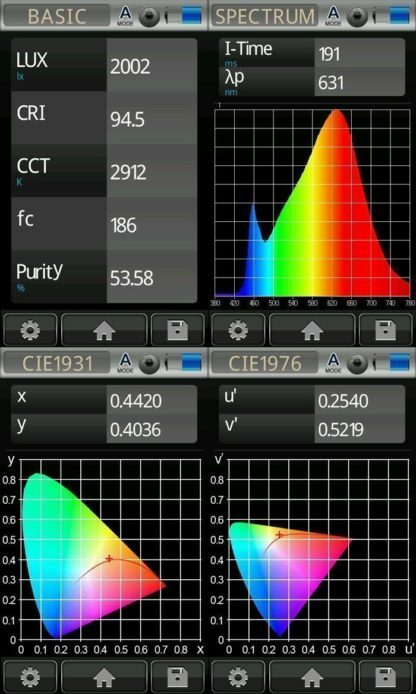 High CRI means better colour definition in Jewellery display cases, food display cabinets and under cabinet lighting. 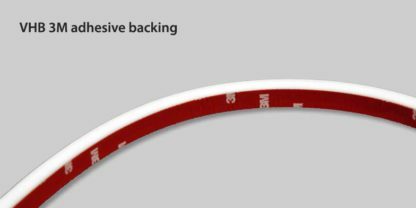 Type C Flex Border Strip is suitable for damp and wet locations (factory sealed) use and comes in 6 meters long (19.6 feet) long rolls. The 15mm (0.59”) wide LED Border Strip can be mounted into LED World’s (optional) Recessed mounting aluminum channel.